The Sugar Island cruising paddle is made for recreational paddling on rivers and lakes for day trips. The tapering blade, with the wide part at the bottom provides good catch and power. 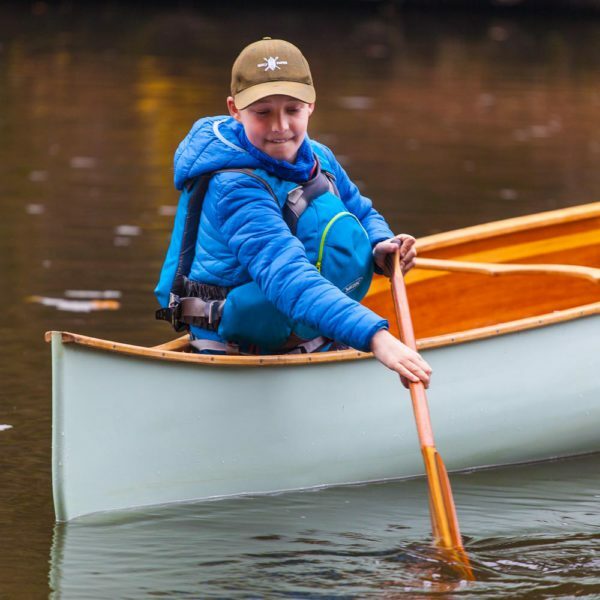 The Sugar Island is a robust paddle that will be useful for powerful steering and bracing. 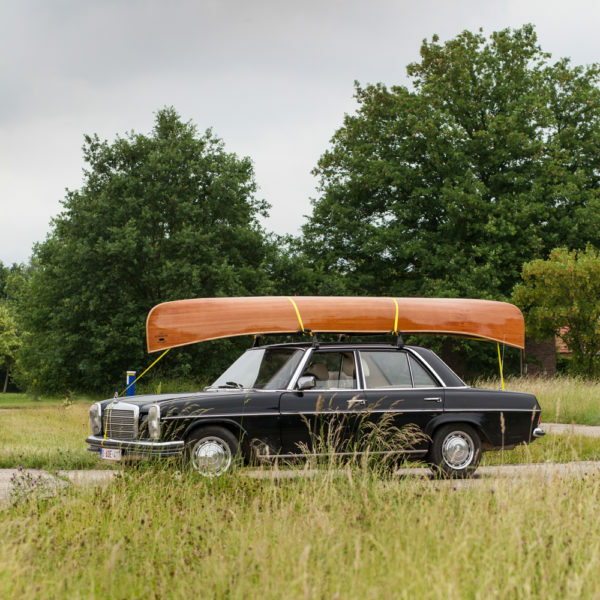 Very reliable for general river canoeing. All our paddles are made to order, expect a delivery time of ± 14 days. 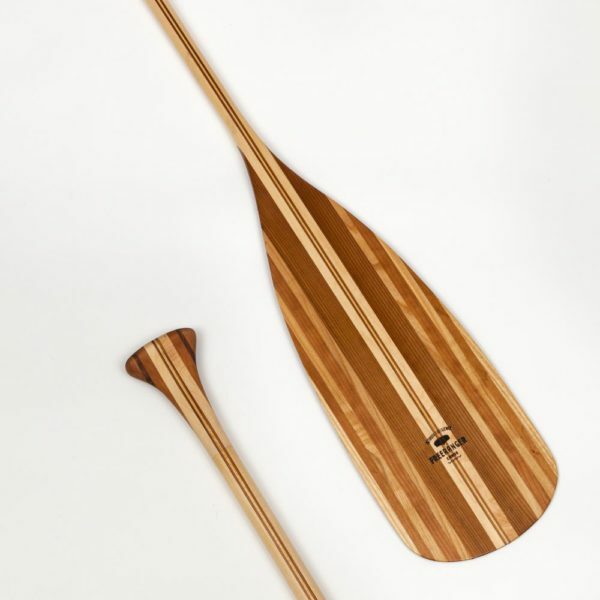 The Sugar Island cruising paddle is made up of a cherry, ash, cedar and ayous. That guarantees a solid and relatively light combination. 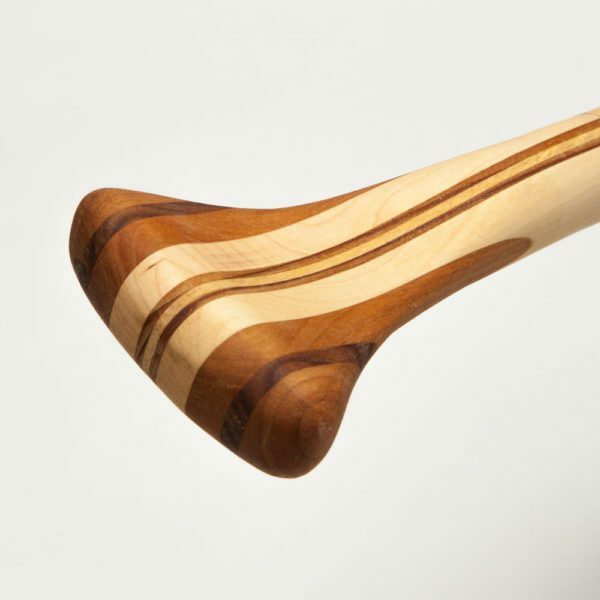 The pear-shaped oiled grip gives the Sugar Island a pleasant and smooth feel. 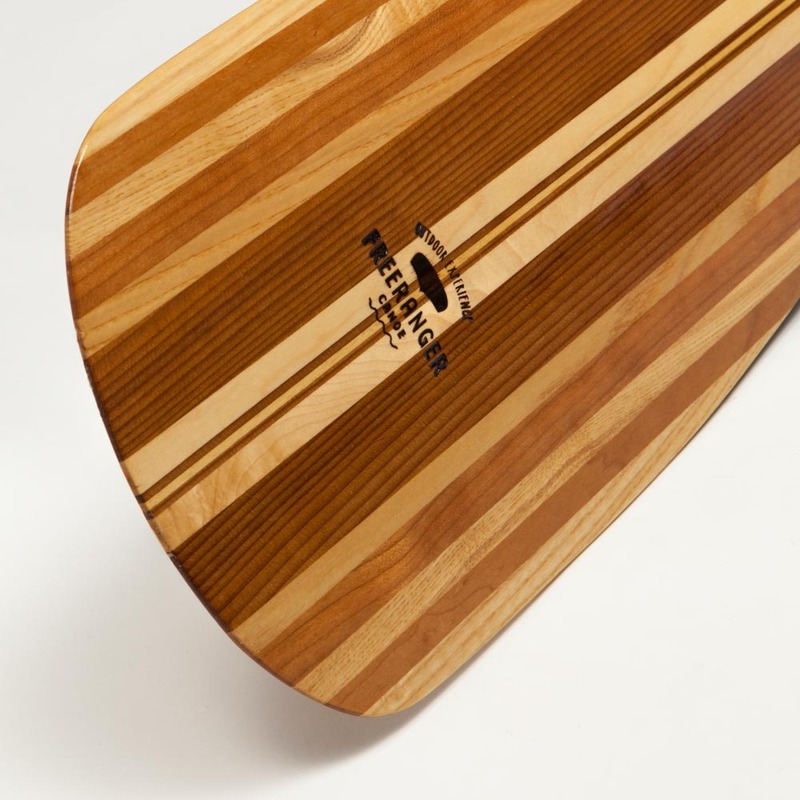 The Sugar Island cruising paddle is available with a semi-gloss varnished or an oiled finish. 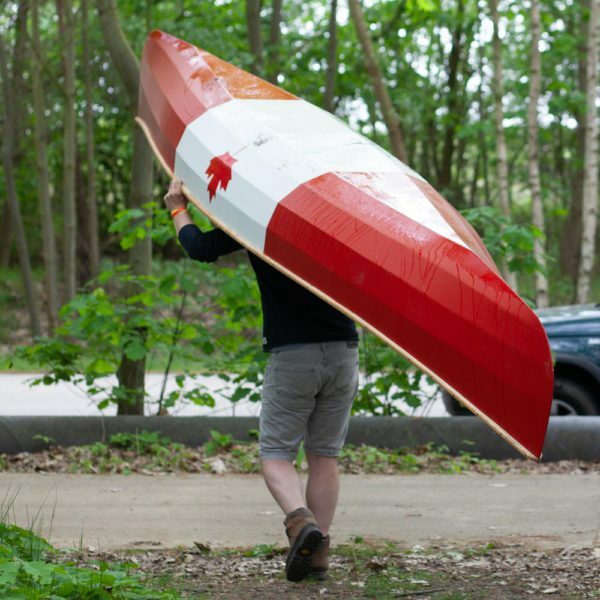 There are many tricks to determine the ideal length of your paddle. Or more correctly, the length of the shaft. The following method is simple and reasonably accurate: Sit straight on a chair and measure the distance between the seat and your eyes and add ± 7 cm. that’s all there is to it.